We are hearing about KiwiBuild mortgages and getting asked questions from many first home buyers so thought we should clear up a bit of the confusion here. In an article run by the New Zealand Herald in August 2018 Kiwibank says it will let customers borrow for KiwiBuild homes with a 10 per cent deposit in a move said to help first-home buyers that are struggling to save a 20 per cent deposit. The article made it sound like Kiwibank was doing something special to help first home buyers as the article went on to say that “under Reserve Bank rules, banks can only lend 15 per cent of their total mortgage book to people who don’t have a 20 per cent deposit” which is not entirely correct and further into the article it even does say that KiwiBuild homes will be exempt of those rules because they are new builds. The reality is that Kiwibank have seen this as an opportunity to say they are offering KiwiBuild mortgages when in fact all banks can offer new build finance in the same way. 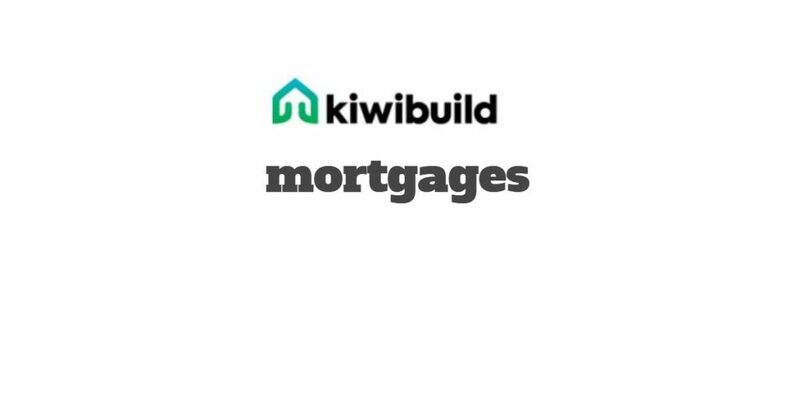 The term KiwiBuild Mortgages is really just that – a term or marketing name. My name is Stuart Wills and as a Kiwi mortgage broker that specialises in new build finance I can show you how you can get finance for a KiwiBuild house or any other new build for that matter. Have you heard about KiwiBuild? The current Labour led government is promoting it’s programme to build 100,000 affordable homes and apartments over the next 10 years. They say on the Labour Party website that KiwiBuild will deliver 100,000 affordable houses over ten years for first home buyers. Half of these will be built in Auckland which is a ten-fold increase in the number of affordable houses being built in Auckland each year, from 500 to 5,000. The stand-alone KiwiBuild homes in Auckland will be priced at $500,000-$600,000 with apartments and terraced houses under $500,000. Outside of Auckland prices are likely to range from $300,000-$500,000. They say that the KiwiBuild homes will be high-quality homes built to modern standards and that the scale of the building programme combined with modern offsite manufacturing techniques will enable these homes to be built at low cost. KiwiBuild homes will only be sold to first home buyers and to avoid buyers selling the houses to reap windfall gains, a condition of sale will require them to hand back any capital gain if sold on within 5 years. If you have listened to any news you will know that the KiwiBuild promise has been very slow starting and many critics suggest that this government will never meet the targets that they set themselves (the election promises) but we were told this week by Housing Minister Phil Twyford that the first set of KiwiBuild homes in Auckland are ready and homeowners will be in by Christmas. That is the first 12 Kiwibuild homes anyway! It is always a challenge for first home buyers to save a big enough deposit for the standard mortgages and this is especially the case in the larger cities and towns where the house prices are higher. Talk to the banks and the standard deposit they are asking for is 20% and even with access to your KiwiSaver and the possible HomeStart Grant that can be a huge amount to save. When you are buying a new home you can access bank mortgages for a new build with just 10% deposit. It’s still a big amount to save, but these are what are known as low deposit mortgages and what are starting to be referred to as the KiwiBuild Mortgages. Banks have different criteria for low deposit mortgages and different pricing. Most will have some form of low equity fee or a low equity margin which means you will be paying more than you would if you had a larger 20% deposit. If the bank charge a low equity fee then it’s a fee that you pay and once paid it’s not refunded; however a low equity margin is only paid until you can prove that you have the equity and can therefore negotiate a lower interest rate. If you have a fixed rate loan then you will need to wait until that loan comes off a fixed rate to get onto the lower rates. Some banks will scale the low equity margins depending on the size of your deposit (ie: from +.025% to +.075% over standard interest rates) whereas other banks have a flat margin and/or may apply the margin to the banks special interest rates. The difference in what you might pay can be significant. A good mortgage broker can help you choose from the different banks and get a low deposit home loan that best fits with your individual situation. Please fee free to share this with anyone that might be considering going into a ballot for a KiwiBuild home, an AXIS Home, Affordable Home, any new build or anyone that may require a low deposit home loan. We hope that you now know what a KiwiBuild Mortgage really is or isn’t.